Never mind that Hillary never actually “punished” the political “enemies” mentioned in Politico’s article. The alleged “Hillary Hit List” advertised in a new book by Jonathan Allen and Amie Parnes entitled HRC: State Secrets and the Rebirth of Hillary Clinton makes much of aides who kept a list of Hillary’s political endorsements and slights. Yet any politician needs to know whom to count on, or not, for next time. Hardly nefarious. 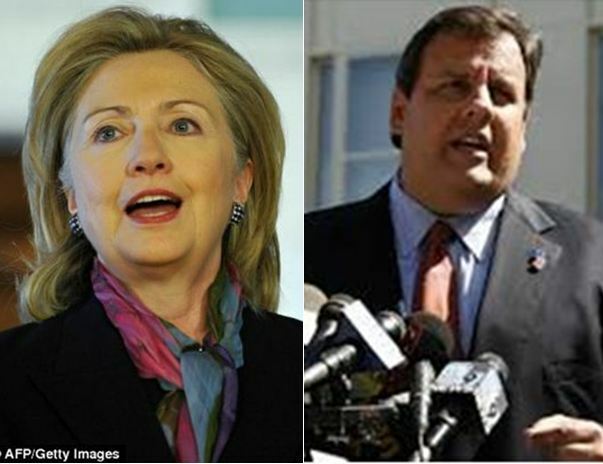 Brit Hume, Senior Analyst at FOX News had to note as much while in the same breath using Politico’s article to distract from Governor Christie’s troubles, accusing Hillary Clinton of being the bully that Christie has been reported to be on numerous occasions. No matter. FOX News’ coverage, like that of Politico and The Daily Mail, implied Hillary and/or her aides had been scheming over a cauldron with needles and voodoo dolls that had John Kerry, Bob Casey John Edwards, Claire McCaskill, Chris Dodd, Jay Rockefeller, Bill Richardson, (now late) Teddy Kennedy and Patrick Leahy’s faces painted on them. In hindsight, their expectations and predictions were…well… insert adjective here. During the 2008 primaries, Hillary Clinton had an irritating habit of winning the large and swing states, as opposed to the red or smaller caucus states in which Senator Obama prevailed. Therefore, in order to undercut the appearance of his limp to the finish line, the abandoning endorsements of Democratic Party elders were peeled out strategically in order to ruin then-Senator Clinton’s news cycle. The bleed of endorsements helped to shift public perception and distract from the inconvenient fact that this race was as close to a tie as one could possibly imagine. These endorsements, the DNC’s riding shotgun for Obama, coupled with his financial juggernaut and the press acting as his de facto PR firm finally did the trick. Notwithstanding the “hit list” Hillary purportedly carried for such betrayals, she has behaved contrary to media depictions and has “killed” these ‘traitors’ with kindness. For example, in the bestseller Game Change, authors Heilemann and Halperin averred that New York Senator Chuck Schumer confidentially told Barack Obama to “take a 2 x 4 to Hillary.” She has gone on record to say she believes none of it. We will never know what she believes or what the truth is, but taking the high road with double-dealing peers has served her well. And who would not have been deeply hurt by the backstabbing endorsements of those for whom she had campaigned, fundraised and in some cases, helped save from electoral defeat, especially in favor of someone less experienced and arguably less skilled. In 2009 and 2010, Politico and many other news outlets were busy dancing on the graves of the Clintons, saying their day in the sun was over and that President Obama was heralding a new political generation. Fast forward to 2012. President Obama had to entreat President Clinton to make a speech on his behalf at the Democratic Convention. “Bubba” obliged, offering up a brilliant 40-minute tour-de-force explaining the man’s presidency. President Bill graciously allowed that “even I couldn’t have fixed this economy in four years.” He must have been laughing into his hankie when he got off the stage. President Obama later admitted that he pleaded with Hillary to stay on after 2012. That must have frosted the bananas of alleged political Judas #1, John Kerry, who had coveted the Secretary of State job since 2008. And now we have none other than Senator Claire McCaskill offering a very early endorsement of the women she had rejected five years earlier. The Clinton brand isn’t over just yet, apparently. It is comical to note how Secretary Clinton has remained above the fray amidst the gyrations of those she supposedly wants to “hit.” But by all means, let’s keep touting her ‘vengeful nature’ in order to distract from the causes she champions. Let’s keep truncating and misrepresenting her actual words in order to bash her. There is also a dishonest meme in Conservative circles that Hillary Clinton receives glowing press coverage designed to set her up for a Presidential win in 2016. Nothing could be further from the truth, as evidenced by the very “Hillary Hit List “article from a liberal publication that Conservatives are now using to bash her. The positive coverage Clinton received came in the latter half of 2012, when Democrats and President Obama’s journalist/pundit fans were working to get him re-elected by trumpeting the “War on Women.” Beleaguered by a bad economy and persistent high unemployment, President Obama’s prospects for a second term were in doubt. He desperately needed the votes of women to close the deal. Therefore, said media operatives were not going to run the risk of angering 51% of the electorate since Hillary Clinton was, by far, the most popular person in Obama’s cabinet and had been voted America’s most admired woman for 18 out of the last 21 years. The usual suspects did not dare to insult her, fearing a backlash from the very voters they were working to woo on President Obama’s behalf. 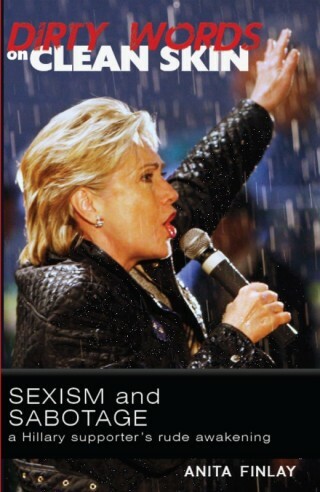 Now that we are all looking to 2016, however, and the buzz about a prospective Clinton candidacy gets louder by the day, the tone has changed. In 2013, we had The New Yorker’s Amy Davidson (hardly a bastion of right wing thinking), complaining ‘aren’t we done with the Clinton’s‘ and what is Hillary going to do with her hair? Liberal-leaning media is just as dishonest about their past Hillary coverage, maintaining they showed no sexist bias against her. Former Clinton campaign adviser Peter Daou just offered a helpful 10-point list of the stereotyped, lazy attacks that are already being leveled, in which the implications of the “Hillary Hit List” meme fit comfortably, portraying her as conniving, disingenuous, and overly ambitious (who in the heck running for president is not ambitious?). Another attack is that she “represents the past.” An ageist dog whistle to be sure. These negative characterizations are designed to focus on appearance, not accomplishment. Personality, not policy. The “Hillary hit list” allegations are convenient in distracting from an opposing politician’s real problems. There is a feeding frenzy by a corporate owned media to define this woman, continuing our negative brainwashing against her. Since the bulk of them were in favor of the election of both Presidents Bush and Obama, their negativity toward Hillary Clinton makes me suspicious, and renders her that much more appealing. Interesting, well written and provocative article, Ms Finlay. 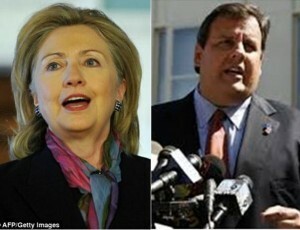 Most interesting to me is that the MSM has begun slow roasting both Clinton and Christie simultaneously. That made me step back from my own perspective and try to find the common denominator between these two potential candidates – the answer being that they both have the capacity to reach across the aisle and work with the other side. HRC’s performance when she was Senator from New York was exemplary, and I was surprised at her ability to work with the GOP and arrive at mutually acceptable resolutions to many of New York’s challenges. Chris Christie has the same capacity, and has shown he is also capable of an effective bi-partisan compromise in New Jersey. Judging from some of the comments here, it seems evident that the MSM has effectively (again) polarized the political environment to the point where I’m reading passionate partisan talking points with no factual backup. Sad and scary at the same time. You’ve brought up some valid points about the dishonesty of the coverage that BOTH potential candidates are receiving, along with your assessment of why this is happening. Your article has encouraged me to review my own opinions about 2016 after months of dodging the topic; and although I’ve come to a conclusion, I’m not particularly happy about where I’ve arrived. Unfortunately, the Democrats have poisoned their brand to the extent that I’m not so quick to commit to voting for Hillary. Not because I doubt her capability, but because I no longer trust the party she represents. If Christie somehow becomes the Republican nominee, I can’t honestly say that I trust his party any more than I do the Democrats because they’ve already shown their disdain for anyone who has a shred of bipartisanship. Now that I’ve reached that stalemate, I’m even more curious (and suspicious) of the MSM’s motivation for skewering politicians who have the capacity to actually unite the two parties. This makes me wonder who is really pulling the strings behind the scenes. Good food for thought, and I thank you again for a well written article that was provocative enough to bring me to some conclusions of my own. Thanks so much for your thoughtful comment, Anthony. Especially your final paragraph!! Great website. Plent of helpful information here. It’s actually a cool and useful piece of info. I’m happy that you simply shared this useful information with us. Hi there, yes this piece of writing is actually pleasant and I have learned lot of things from it about blogging.